To provide strategic and tactical training to law enforcement, military and security professionals that is performance driven, functional and reliable under pressure, yet fully integrates into existing work parameters and is readily absorbed and deployable by every able body. To provide personal protection and defense training to civilians seeking to safeguard themselves and/or loved ones against potential assaults or acts of aggression and violence using every means available to them in the most efficiently trained and functional way possible. To continuously develop and evolve the state of occupational defensive tactics internationally. To establish, secure then support the active network of the ISR Matrix’s highly trained and prepared Instructors and Trainers around the world. To insure, then consistently present superior levels of response-ability and quality instruction and professionalism from our First Tier of Liaison Instructors and on through to our Field Trainers and Regional Directors. With function, performance and reliability as the guiding protocol and the measure of success, our foundation’s value to the community is always tested, maintained then proven safe and efficient through the direct capabilities of our training groups, training representatives and active proponents in the field. We place the utmost emphasis on training and maintaining the highest quality standards anywhere in the industry and martial professions, both in our training methodology and with our enduring requirements though uniform testing and periodic reviews and continued personal development. In their particular theater of operation, professionals need to work within a use of force continuum that is usually predicated on a legal framework. With these issues in mind, the ISR Matrix was crafted towards functional tactics for peace officers, security personnel, special operation teams, hospital orderlies and civilians. Though the ISR Matrix’s complimentary network of training approaches, working concepts and highly effective techniques, its unified and open structure permits it to flow readily with the existing systems and approaches currently in place by agencies internationally. Due to this unique quality it effectively provides its operators a readily accessible course of action with the ability and the response-ability to perform regardless the intensity of opposition and the pressure encountered. Once put into practice, the ISR Matrix will completely enable the professional, within set guidelines, the means to handle any situation while using the minimum appropriate levels of force to overcome resistance as it transpires and unfolds. Therefore, it is perfect for mission specific modes of operation used by law enforcement officers, security people, armed forces and special response teams worldwide. 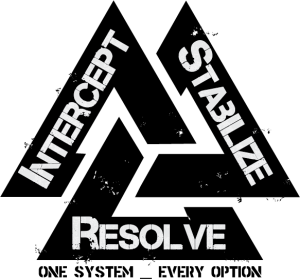 As situations unfold moment to moment, the ISR Matrix readily permits rapid escalation and de-escalation of force as it relates to the resistance encountered via the aggressor. This measurable versatility allows for clear lines of tactics and strategies to meet specific threat levels as they present themselves and to do so with the maximum legal defensibility available to the trained professional. The ISR Matrix is a proven strategic perspective and tactical process to engage, control, transport or neutralize threats as required. It provides a dynamic full-spectrum integrated system from the verbal dialogue and management stage all the way through physical management and on to deadly force. 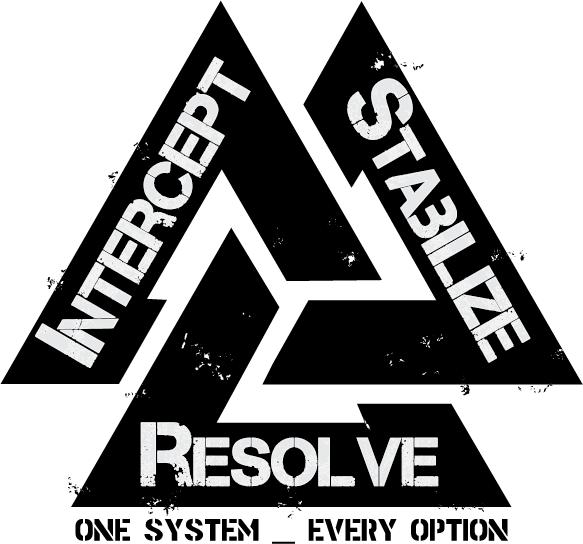 Consisting of a cyclical but unlimited range of options built around a very small number of techniques and grounded directly alongside a very specific, direct and accessible strategy, the ISR Matrix successfully applies to a vast diversity of situations and achieves the optimal and most defensible results available against threats at their specific level of pressure and severity.